The exchange of money is at the heart of most businesses and, unfortunately, some people do not pay their debts. 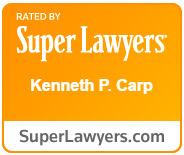 St. Louis and St. Charles business attorney Kenneth P. Carp is committed to helping business owners collect the money they are rightfully owed. If you need collections assistance for your business, please call our office at (636) 947-3600 to schedule a free consultation. Contacting the debtor—sometimes, receiving a phone call or letter from an attorney is enough to get a debtor to pay because they fear any additional legal action. Additionally, an attorney can negotiate with the debtor regarding payment arrangements and other possible options. Filing a lawsuit—a lawsuit can lead to a judgment against the debtor or can induce the debtor to pay in order to avoid receiving a judgment. A lawyer can also assist you in registering judgments from other state or even foreign countries. Garnishments, attachments, or liens—if a debtor still refuses to pay on a court-ordered judgment, the court may approve wage or benefits garnishments, liens on property, or other attachments to help you collect your money. Foreclosures or repossessions—if you are owed money for property that you sold to the debtor, we can assist you in reclaiming that property. Involuntary bankruptcy—if a debtor still refuses to pay but has the assets to do so, you may be able to force them into bankruptcy, which will liquidate their property in order to pay you and other creditors. Collection efforts can be frustrating and your focus should be on the smooth operation of your business. For the best results, you should always have an experienced business collections attorney handling your collections. At the Law Offices of Kenneth P. Carp, we have the resources to assist businesses in receiving the money they are owed in the most efficient way possible. Please feel free to contact our office at (636) 947-3600 for a free consultation.